Leave it to Basil — the Condiment King — to discover this on I-95 South in Norwalk. 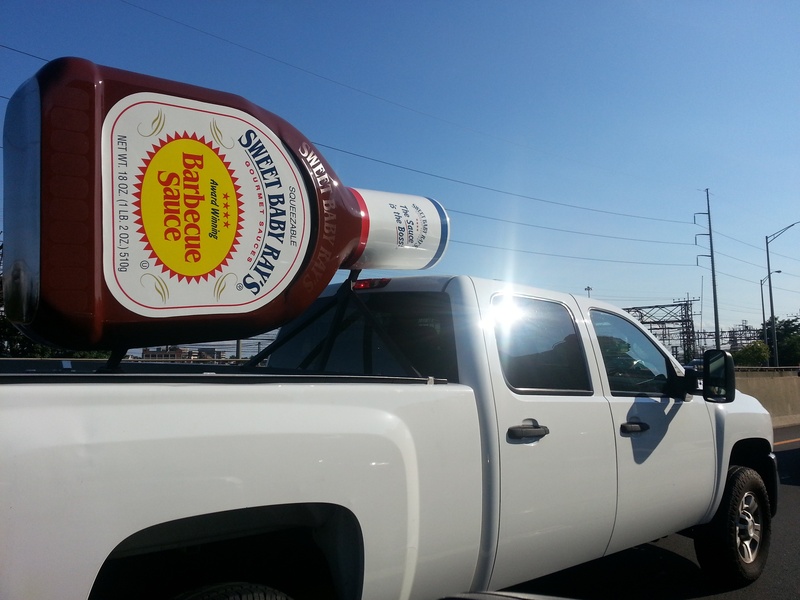 He kept a sharp eye out, but no comparable truck carrying racks of ribs ever appeared. We need to have you and Basil up so Bill can make ribs for you. He loves using his smoker. Yep, just the right size! I love this BBQ sauce so much that it’d probably only take make a year to finish that size bottle!